Heather Moore (aka Skinny laMinx) did it again! She has designed another gorgeous teatowel. The teapots and jugs above where the source of inspiration for her new design (step 1). One day she drew all her teapots and jugs (step 2). 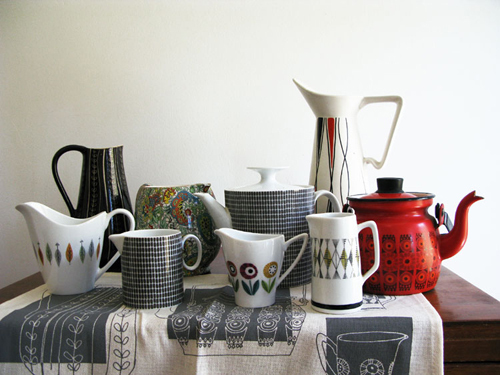 And then she made her drawings into a tea towel design called Teapots & Jugs (step 3). 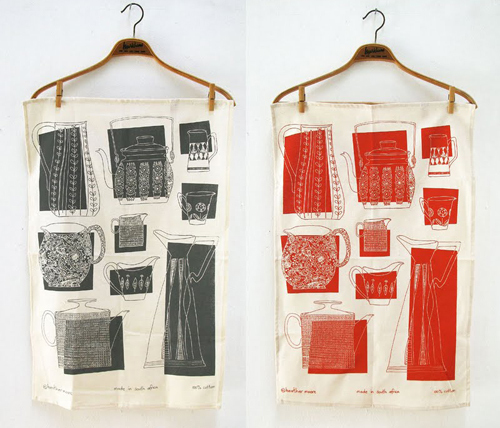 The teatowel are available in Heather’s Etsy shop for $12.50. I really love that kind of designs on the teapots. The drawings are just as beautiful as the mugs.